Resdex is now available with a host of new features which will improve your productivity and help you close positions faster. WHAT IS SMART COMMENTS SYSTEM? Tags –Structured comments for easy grouping. Get 30 pre-defined tags or create your own. For eg – Good Communication, Not Interested, Call Later etc. Status – Pre-defined hiring pipeline stages. For eg – Promising, Interested, Shortlisted, Interview Scheduled etc. 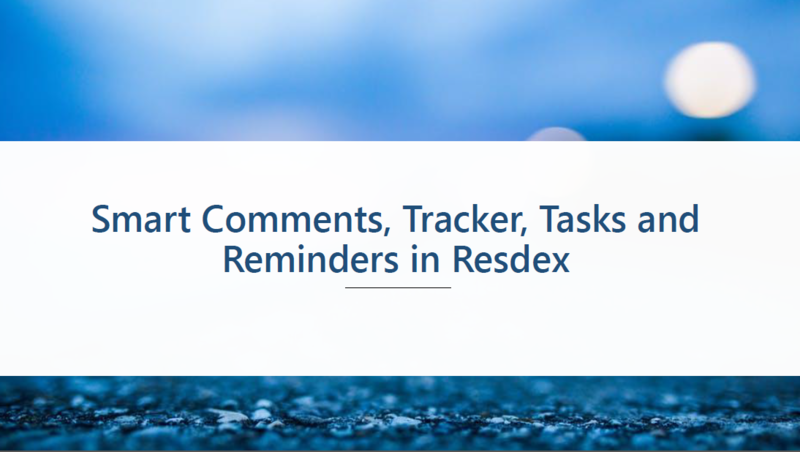 HOW TO MANAGE REQUIREMENTS IN RESDEX ? Add Requirement from the following page that comes before every Search. You will be able to Use structured comments i.e. tags and status on profiles. View All your activities in Resdex will get mapped to atatched requirement. 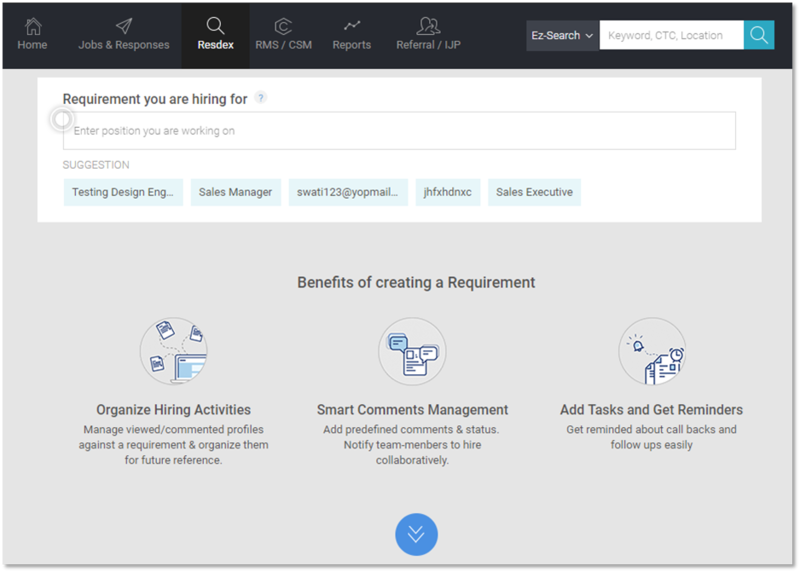 You can further drill down on each requirement and view profiles against each in Requirement Detail Page. 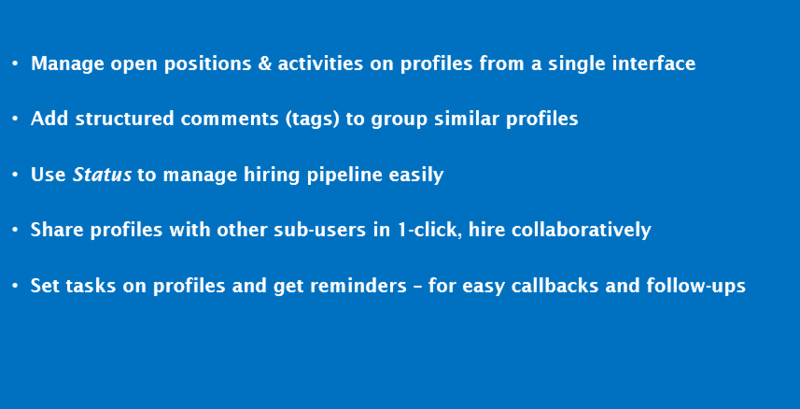 The profiles are grouped on recruiter activities. Furthermore, recruiter can now view and manage profiles in an excel like Candidate Tracker View. You can view for easy scan and use additional options for profile management. 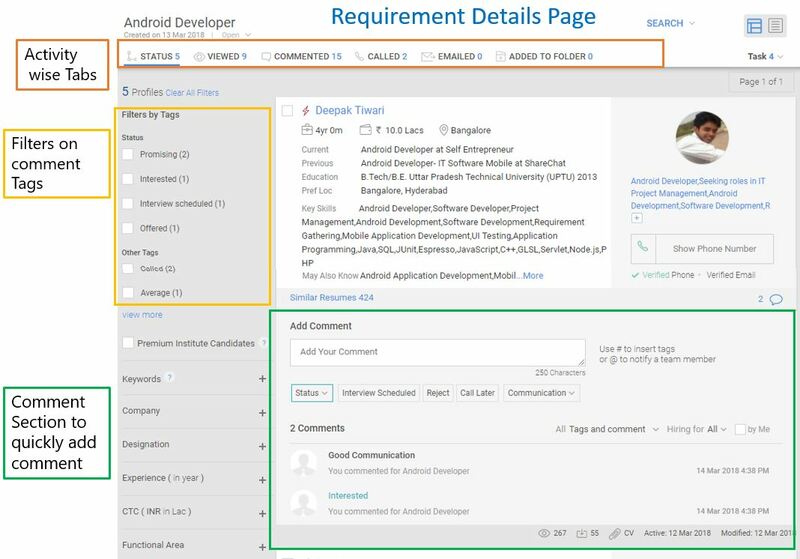 With the help of filters, user can work on a particular requirements or find candidates with a specific status. HOW TO ADD A TASK AND GET REMINDERS ? Enter task description, Due Date & Time – to get notification 15 mins before due time. Do let us know in case you have any feedback for us. For any queries or suggestions, contact us at support@naukri.com. How to enable your email client to display images automatically ?